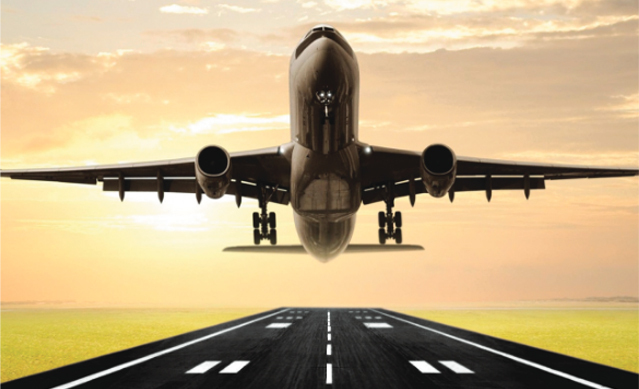 Airport Grade Steel Guard (AGSG) is an asphalt protective coat application designed to preserve and extend the life of existing asphalt surfaces. 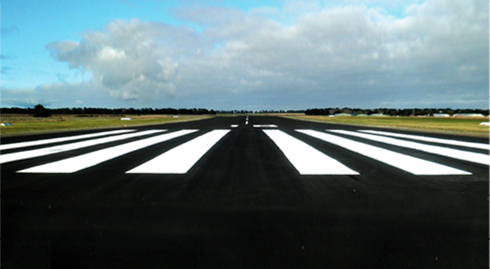 AGSG has been used on runways, taxiways and apron surfaces at many airports throughout the world. 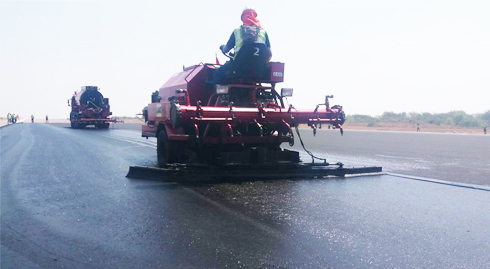 AGSG has high adhesive characteristics, which when combined with polymer modifiers and varied quantities of solids to suit the condition of individual airport pavements. AGSG seals the surface by thus eliminating the FOD generation and reduces the deterioration rate of asphalt based pavements. Similar solution is available for preservation of Road & Highways. Airport Grade Steel Guard (AGSG) is a non-toxic and cost effective treatment that provides a weather-proof coat to extend the life of existing pavement and prevent its deterioration in a highly advanced way. Do you know what happens when a runway plays host to thousands of airplanes every week: Asphalt airfield pavements particularly runways are subject to entirely different stresses like air traffic count, fuel spillage, weathering exposures (Sun, UV rays & Rain) jet blasting or torching by jet engines along with heavy duty usage results in the deterioration of asphalt pavement. Its slowly begins to weaken, resulting in extracting aggregate particles and binder. Over a time, this lead to the loss of large aggregate particles, cracking, water penetration and ultimate failure. To prevent such issue, airports conduct regular maintenance check and repair work, spending immense amount of funds and time. The solution to the problem, as suggested by most of the engineers, is to mill & overlay hot mix asphalt over the existing surface. However, doing that would result in airports incurring huge expenses. In a time when aviation companies, air routes, and the world's population are ever-increasing, isn't there a need for the extension of the existing pavements' life? Doing so would avoid the new runway overlay. One such cost-effective and time-saving technology is AGSG - Airport Grade SteelGuard giving longer life and safer operations. 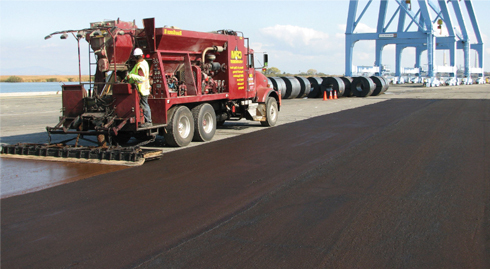 Airport Grade SteelGuard (AGSG) is an asphalt protective coat application designed to preserve and extend the life of existing asphalt surfaces. AGSG has been used on runways, taxiways and apron surfaces at many airports throughout the world. AGSG has high adhesive characteristics, which when combined with polymer modifiers and varied quantities of solids to suit the condition of individual airport pavements, AGSG seals the surface by thus eliminating the FOD generation and reduces the deterioration rate of asphalt based pavements.